The 1996 British film Brassed Off told the story of a band that emerged from the ashes of the once mighty industries of the city of Sheffield. In Zenica, Bosnia right now the film is playing out for real, but the ending is still not clear. Like Sheffield, Zenica’s modern history has been dominated by steel-making and the same global pressures have resulted in similar fortunes. The giant Zenica Steel Mill is close to bankruptcy and tied to its fate is the survival of its brass band. But just like in the movie, the musicians don’t want to stop playing. 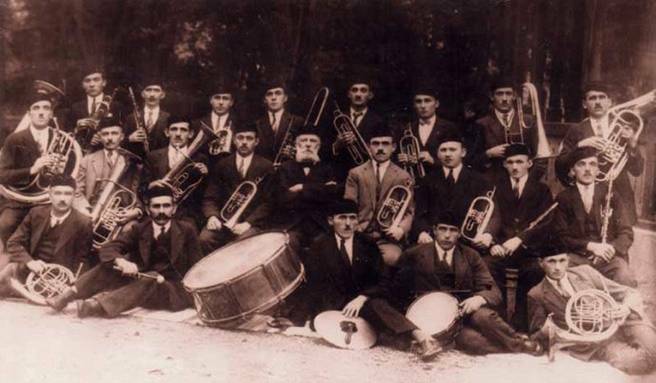 Established 91 years ago, the Zenica Brass Band witnessed the industrial development of the city, the dramatic changes caused by the Second World War, the economic prosperity fostered by the socialist planned economy and the collapse of the steel industry during and after the 1992 – 1995 Bosnian war. “Things have gone downhill for us ever since after the (last) war,” says 76-year-old Ljubomir Kelava who has played a bass horn in the band since 1958. During communist times, the band was generously supported by governments that used culture to foster positive sentiment towards the new Yugoslavia among citizens. “We were paid for every rehearsal, not to mention that all our performances and travel was fully funded by the government,” added Ljubomir, a retired teacher from Zenica. The band has played thousands of street gigs across the former Yugoslavia. Many of them were held during state parades under the patronage of the communist leader Josip Broz Tito. 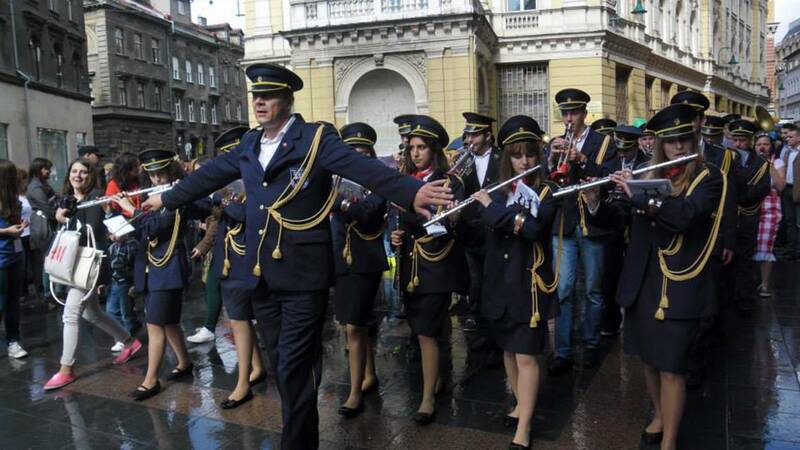 Labour Day, one of the most important Yugoslav holidays celebrating workers’ rights, was unimaginable without the traditional First of May reveille brass concerts. Brass musicians even woke up the citizens of Zenica on Labour Day at the height of the Bosnian war. “We would play reveilles and people would give us small gifts, which was a tradition that had been in place for years. We all pretended life was normal,” says Ljubomir. But the band members say that post-communist governments didn’t share the affection that communist leaders had for brass music, and refused to support the band. To survive, the group continued to operate under the auspices of the Zenica Steel Mill. But the company got no special favours under the new regimes either. 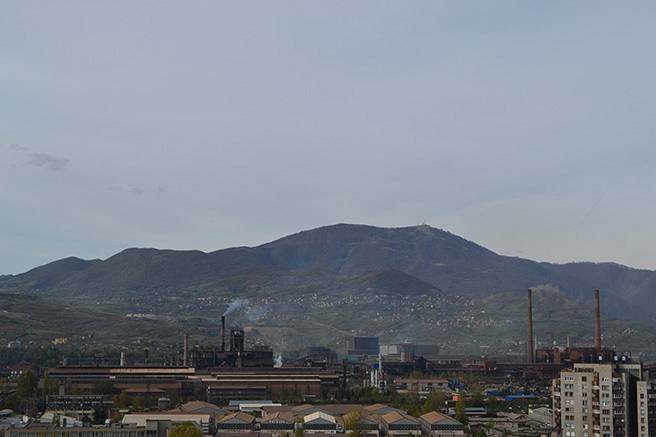 The Zenica Steel Mill was one of the largest steel manufacturers in communist Yugoslavia. Over the past century, Zenica, the fourth largest Bosnian city located around 70 km north-west of the capital Sarajevo, depended heavily on the industry and in many senses was defined by it. After the Bosnian war, a majority share in the company was purchased by Arcelor Mittal. Its production capacity decreased significantly and many people were left without jobs. Because of that, the band calls the post-war times their “gloomy days,” when the city, the steel mill and its band had to face up to numerous financial struggles. Amid questions over its management, the remaining, public-owned section of one of the symbols of the former Yugoslavia is now close to bankruptcy. Workers have been sent home, power has been cut off and the factory’s gates are locked. “Now, we don’t even have a place to organize rehearsals. And we don’t know what will happen to us,” says former electrical engineer Alojz Centelege who has played clarinet in the band for more than a half a century. The band currently has 28 musicians, the youngest fourteen and the oldest seventy six years old. The Still Mill’s nuclear shelter, which has served for years as the band’s rehearsal space, has no lighting nor heating. “The band is practically sentenced to death,” says 37-year-old bass drummer Azur Bijedić who has hunted down donations and sponsorships ever since he joined the band in 1999. But without official support from the local authorities, Azur says the future of the band is bleak. Many of the musicians use instruments dating from the 1970s, paying to patch them up themselves and finding a public only when band members manage to organise gigs. But every time they do perform, Azur notes, the reaction of the audience shows that their music is worth preserving. “People cry when they see us and hear our May 1 reveille. Our music reminds them of the better lives we all had in the former Yugoslavia,” says Azur who doesn’t remember much of life in communist times but believes that the band’s repertoire, which combines traditional folk music from different parts of the former Yugoslavia and popular national songs, touches the hearts of the public. For that reason, the band is determined to protect the memory of the past. And the band’s members are convinced they will play the reveille on the First of May next year, just as they have for decades.